Three Points Publishing, 9780986320705, 360pp. Life's good at the top. But everything changes for the sloppy, ill-aiming love god when a meddling stranger challenges him for his crown. Not even the advice of his war-mongering father, Mars, and embarrassingly underdressed mother, Venus, can save Cupid from the skids. Facing enraged immortals, epic battles against hell's most vile creatures, and the dread of becoming mortal himself, Cupid teams up with an unlikely band of misfit fallen angels in the hopes of saving himself, the Olympic kingdom, and humans the world over. But can such an inept team of losers finally win when it counts? 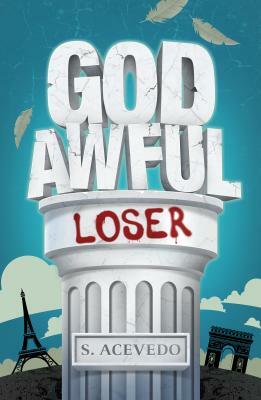 Funny, rude, and planted smack in modern times, God Awful Loser is a new chapter on the ancient gods' bad and hugely entertaining choices. May we never follow in their footsteps.